Cara Bird received an 18-month suspended sentence and was ordered to pay back $4,389 that she stole over three years as treasurer of the Winslow VFW Auxiliary. AUGUSTA — A Winslow woman on Wednesday admitted to embezzling funds from the Winslow VFW Auxiliary over the three years while she was the group’s treasurer. Cara J. Bird, 37, was sentenced to an 18-month fully suspended prison term and one year of probation after pleading guilty to a felony charge of theft by unauthorized taking or transfer. A special condition of probation requires her to pay back the $4,389 restitution at the rate of $100 per month for the benefit of the auxiliary. Bird already was the subject of a separate civil judgment issued in January 2015 ordering her to pay $7,716 to the Winslow Veterans of Foreign Wars U.S. Post 8835. She had been the bookkeeper for both the post itself and the auxiliary for three years. At Wednesday’s hearing at the Capital Judicial Center, Brenda Blair, representing the Winslow Maine Auxiliary of the VFW, read a letter aloud that said Bird had stolen their trust as well as their money. Bird had embezzled the money from the MacCrillis-Rousseau Ladies Auxiliary of the VFW between June 2011 and May 2014. Bird handled the VFW’s accounts for about four years when members started realizing something was wrong. Vendors started refusing credit for purchases because they hadn’t been paid for earlier deliveries. Then the bank called to say it hadn’t received a mortgage payment. 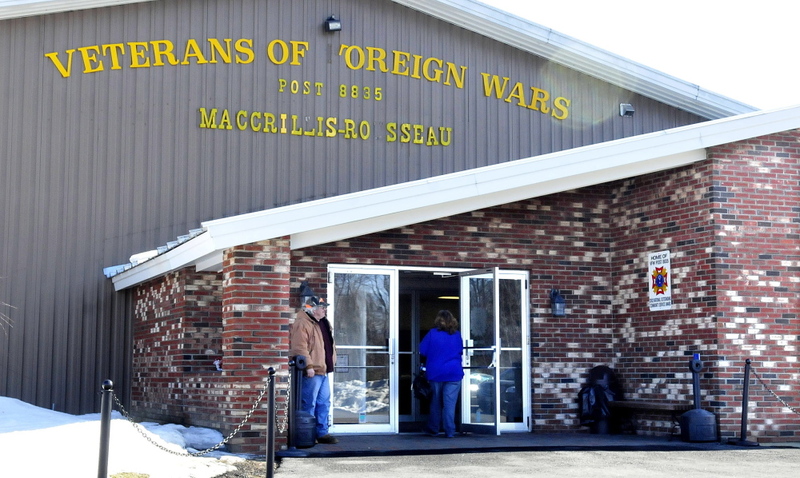 Instead of going to the police, the VFW initially had Bird sign a promissory note in June 2014 admitting responsibility for taking the funds and agreeing to pay them back. But later that month, Winslow Police started investigating allegations that Bird had taken from the VFW Auxiliary during the same time, and she was charged with the theft. Outside the courtroom Wednesday, Blair thanked Assistant District Attorney David Spencer for his work on the case. Bird did not address Justice Donald Marden, but her attorney, Scott Gurney, told the judge that Bird is a single mother of two young children and had been in an abusive relationship. Bird’s embezzlement conviction comes following a string of similar but separate crimes across central Maine in recent years, with several cases in the town of Winslow. In February 2015, Wendi Willette pleaded guilty to stealing as much as $10,000 from the Winslow Wrestling Sports Booster Club, a smaller amount from the China Girls Field Hockey Team and $60,000 in state assistance. In November that year, Charles Spaulding pleaded guilty to theft after a Winslow Police investigation into the theft of $15,000 from the Winslow Travel Soccer Club.